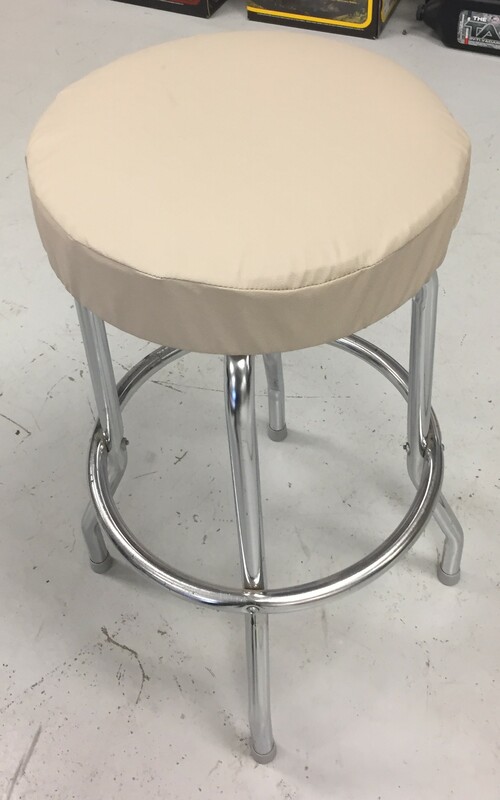 Bar Stool Slipcovers - A/C Covers, Inc. This easy slip on Bar Stool Cover is made of durable, yet soft vinyl and long-lasting elastic. Both are outdoor rated for years of use for residential or commercial use. A perfect fit for a 15 inch round bar stool.